I am a graduate of the Dental Hygiene program at Lake Land College in Mattoon, Illinois. In 2005 I received my license to deliver local anesthetic from Waukesha Area Technical College. I started working with Dr. Fulmer in 1998. He hired me six weeks before I was due with my first baby. Somehow I managed to work up until the day I delivered. My husband Ed and I have three kids. Two girls and a boy. Our family loves to ride ATVs and you will typically find us riding them around up north in Mercer, Wi. Getting our family up there to ride and enjoy nature, every 4th of July, is a highlight of our summer. 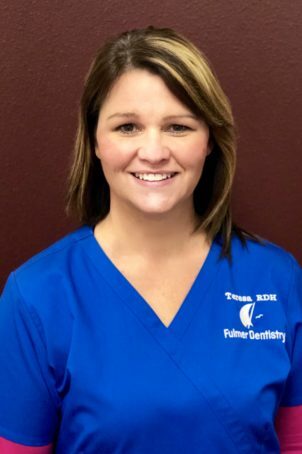 "Dr. Fulmer has always gone above and beyond to take care of me and my family no matter the circumstance. It is not just a job for him, it’s a family that I am pleased to be a part of."